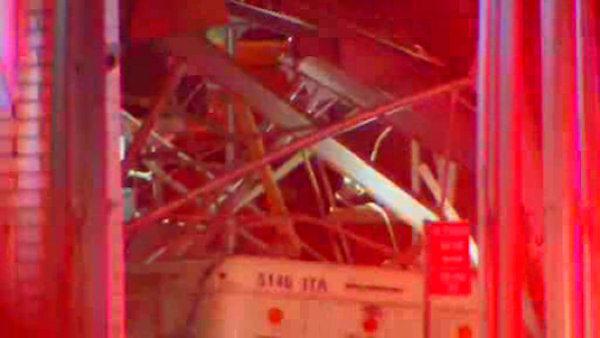 UPPER EAST SIDE, Manhattan (WABC) -- One person was injured after an ambulette somehow ran into scaffolding on the Upper East Side. The crash happened Near East 70th Street and York Avenue around 7 p.m. Monday. The scaffolding collapsed onto the vehicle. One person was transported from the scene with minor injuries.